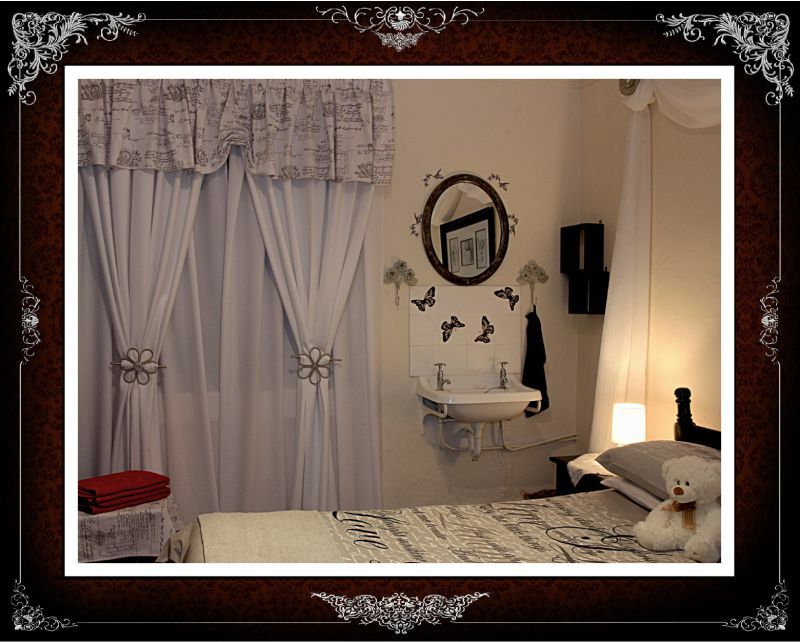 Lady Grey accommodation: Single room with 3/4 bed and on-suite bathroom with shower. This is a comfortable room close to the entrance. It overlooks the veranda and has a view of the Witteberg. 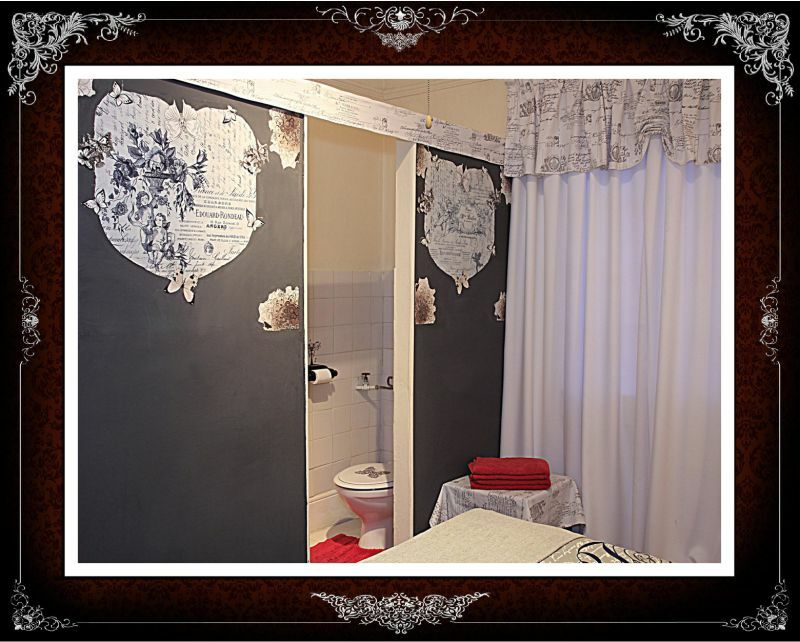 The décor includes an antique wardrobe and dressing table as well as painted plates by local artist Lika van den Berg. 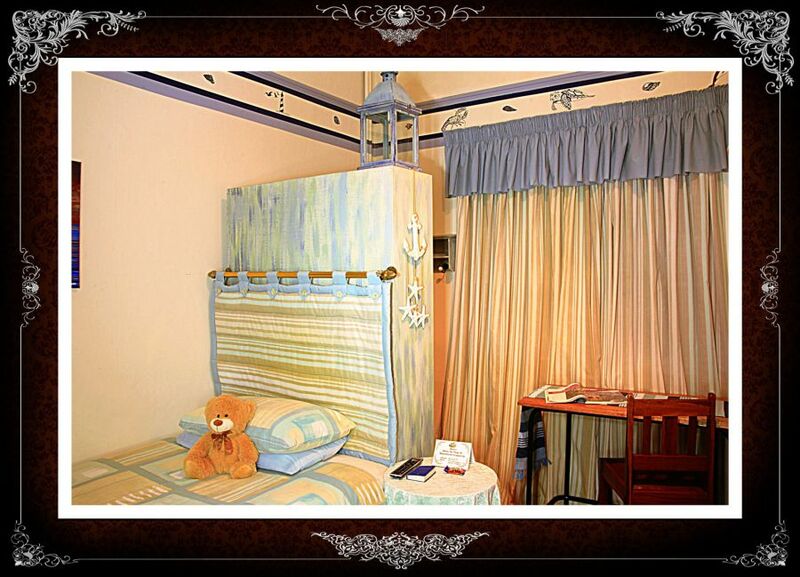 The teddy on the bed is there to keep you company. The Inn has a Restaurant and all meals are available at an additional cost. 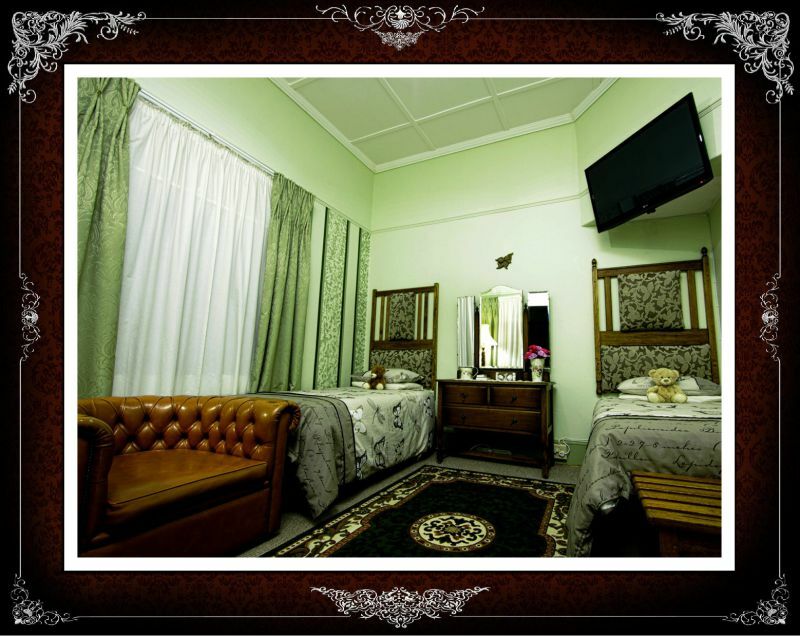 Facilities include free Wi-Fi, TV with 9 channels, coffee and tea, basic toiletries, a panel heater and electric blanket to keep you warm during winter. A back-up power supply keeps the lights on during load shedding. Electric sockets have been installed at strategic points to make it comfortable for the guest to plug in and charge phones and electrical devices. 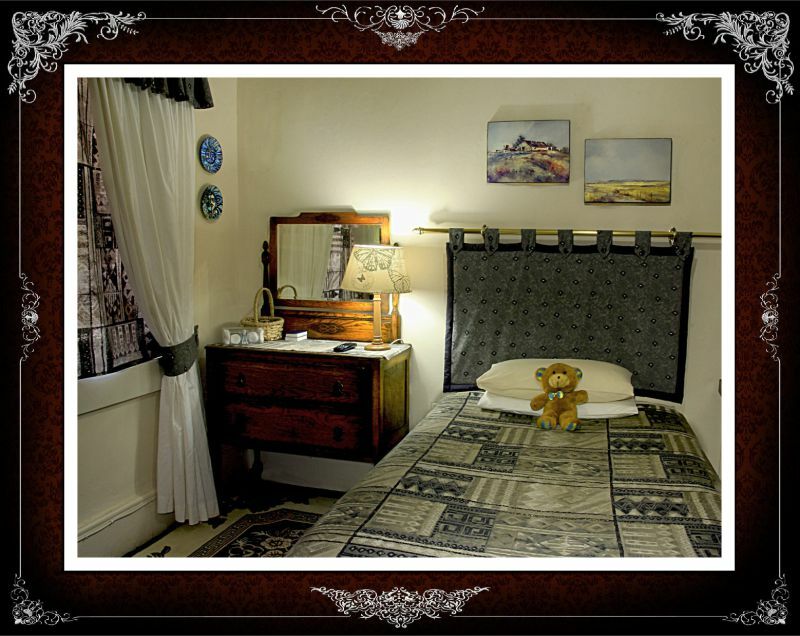 This accommodation in Lady Grey has a strong bore-hole which supplies clean water to the Inn when there is a drought. 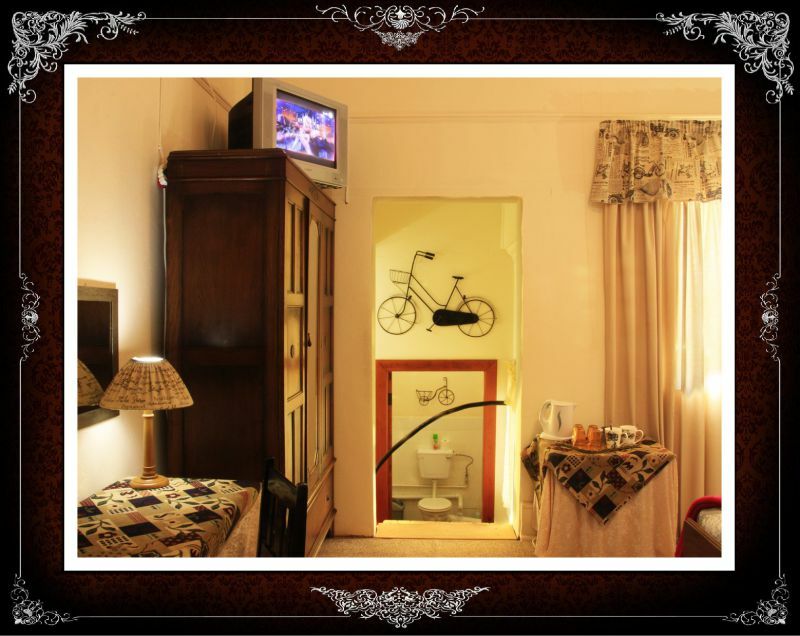 Double room with double bed and on-suite bathroom with bath (no shower) and a separate toilet. 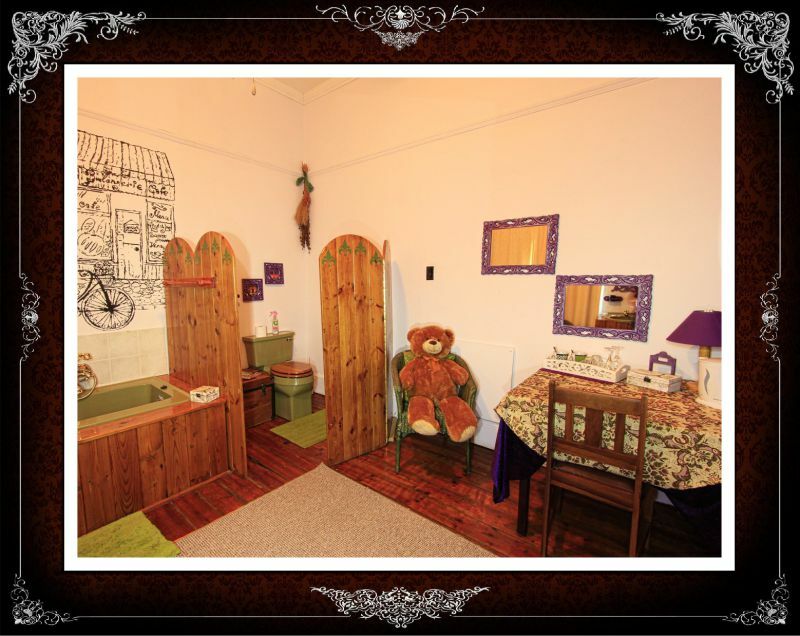 This is a comfortable, quiet room overlooking the back garden and there is a teddy on the bed to keep you company. The Inn has a Restaurant and all meals are available at an additional cost. 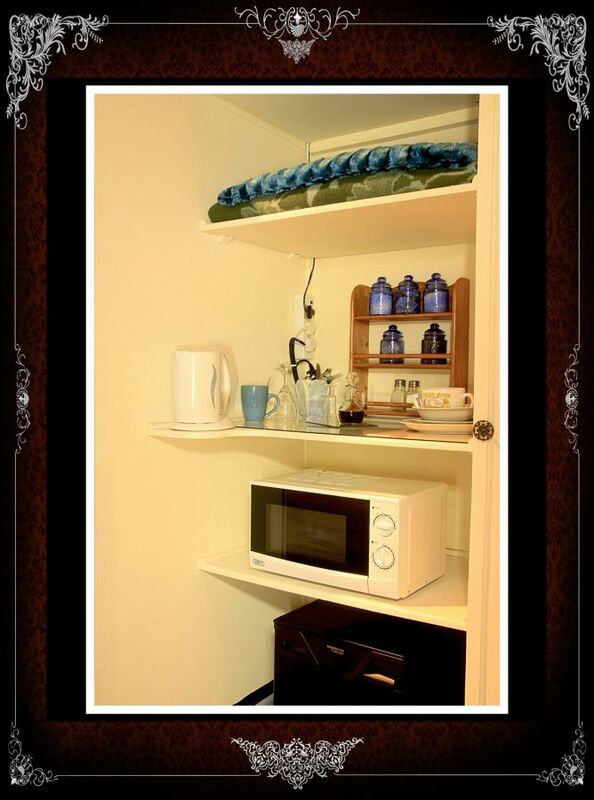 For self-catering purposes, the room has a microwave oven, fridge, basic cutlery and crockery. Facilities include free Wi-Fi, flat screen TV with 9 channels, coffee and tea, basic toiletries and panel heaters and electric blankets to keep you warm during winter. A back-up power supply keeps the lights on during load shedding. Electric sockets at strategic points enable guests to plug in and charge devices or work comfortably at the desk. The Inn has a strong bore-hole which supplies clean water to the Inn when there is a drought. 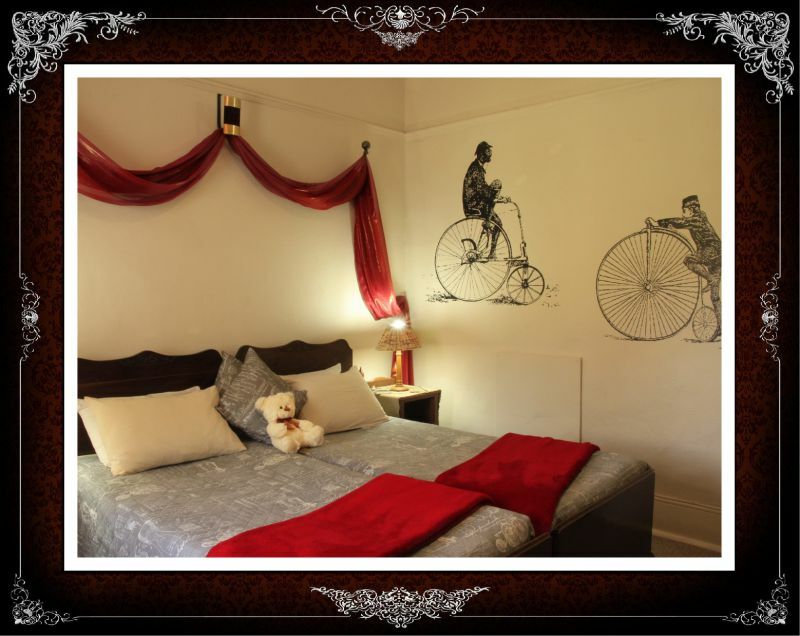 Also called the Moulin Rouge/Honeymoon Room. 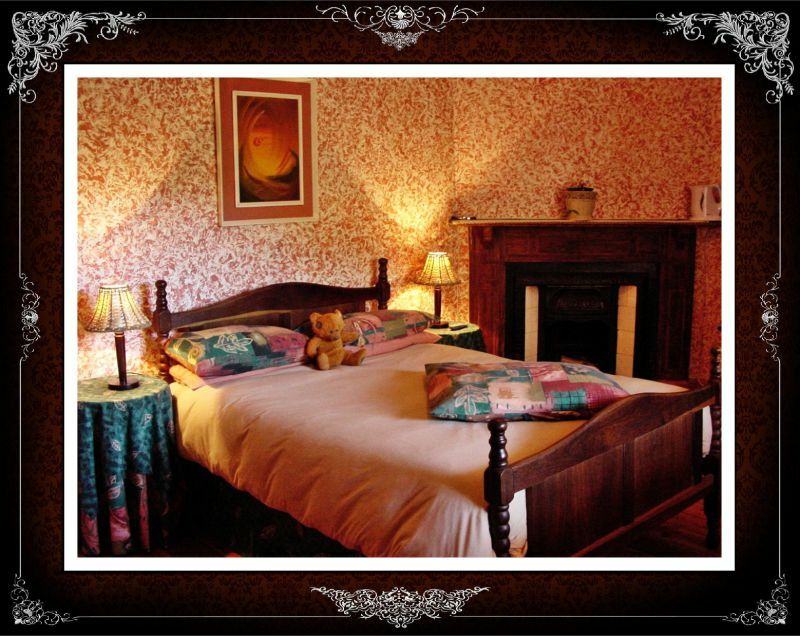 Double room with two single beds which can be converted to a King-size if requested in advance. The bathroom is part of the room and it has a bath (no shower). It overlooks the veranda and has a spectacular view of the Witteberg. 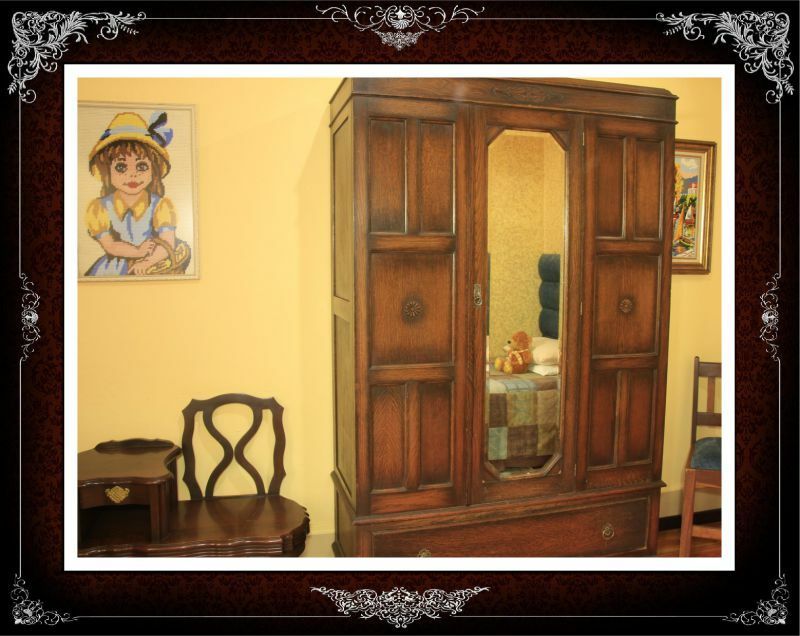 The décor includes an antique wardrobe, dressing table, and wooden chest. 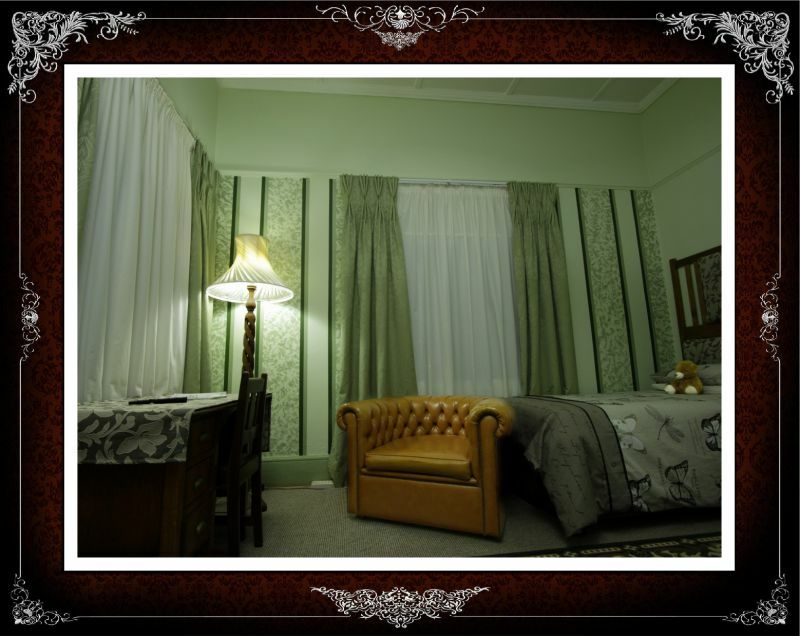 The large headboard used to be the antique headboard and foot-end of the original double bed of this room, now beautifully converted and upholstered by Daleen Jordaan and Hein Kunnike. 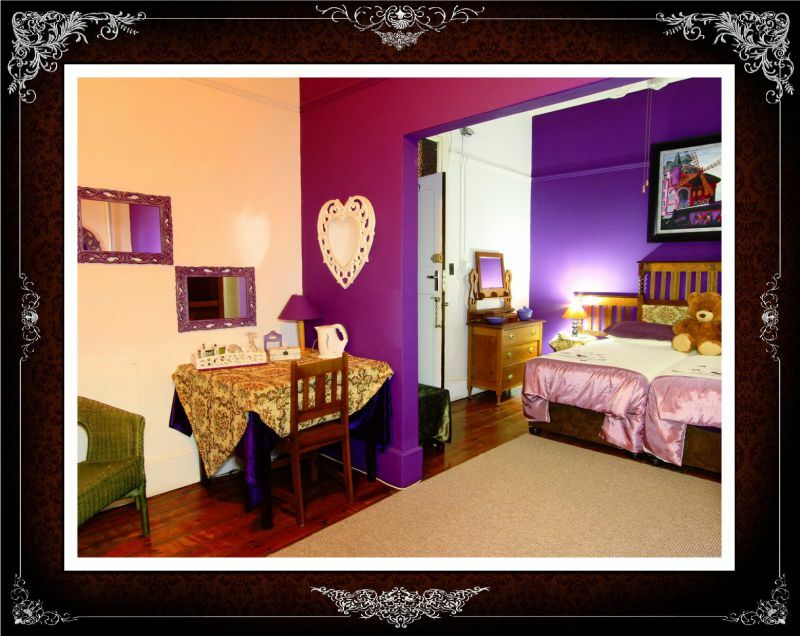 The Moulin Rouge painting was done specially for this room by artist, Danel Botha. As always there is a teddy or soft toy on the bed to keep you company. The Inn has a restaurant and all meals are available at an additional cost. Facilities include free Wi-Fi, TV with 9 channels, coffee and tea, basic toiletries, ceiling fan, panel heaters and electric blankets. A back-up power supply keeps the lights on during load shedding. Electric sockets have been installed at strategic points to make it comfortable for the guest to plug in and charge devices and work comfortably at the desk. The Inn has a strong bore-hole which supplies clean water to the Inn when there is a drought. 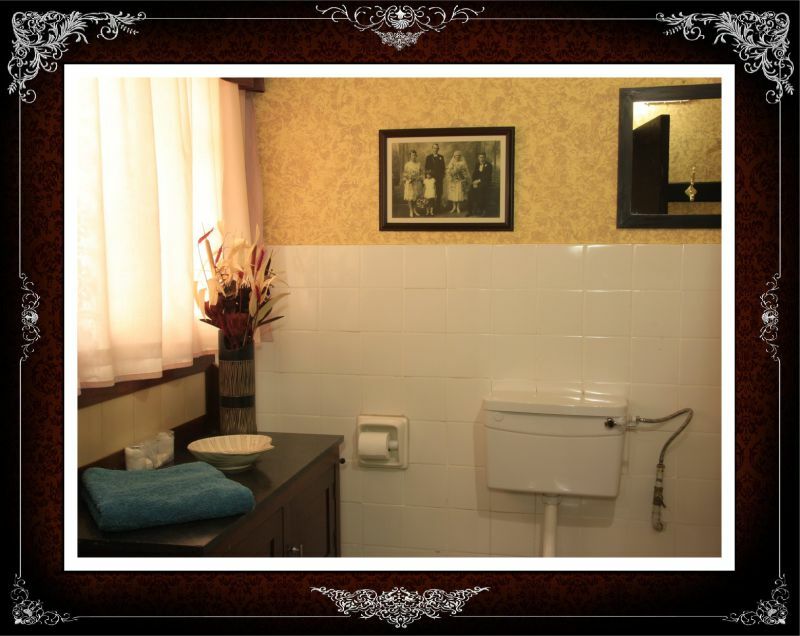 Upstairs, self catering or catered. 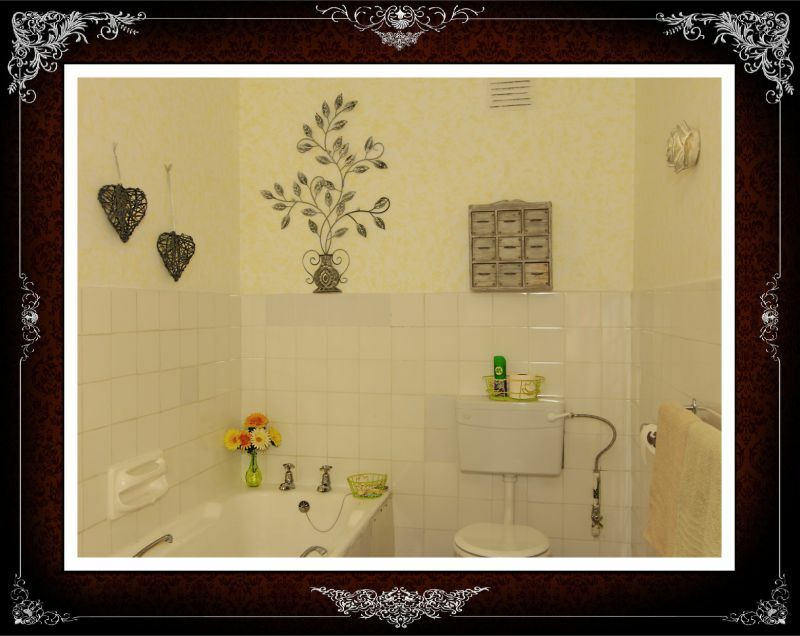 Single room with 3/4 bed and on-suite bathroom with shower. It is a small room with many comforts. This recently renovated room at the end of the top passage is relatively quiet. The décor reminds you of your vacation at the sea and the view from the window is that of the garden, part of town and the Witteberg. Teddy is on the bed to keep you company. The Inn has a restaurant and all meals are available at an additional cost. 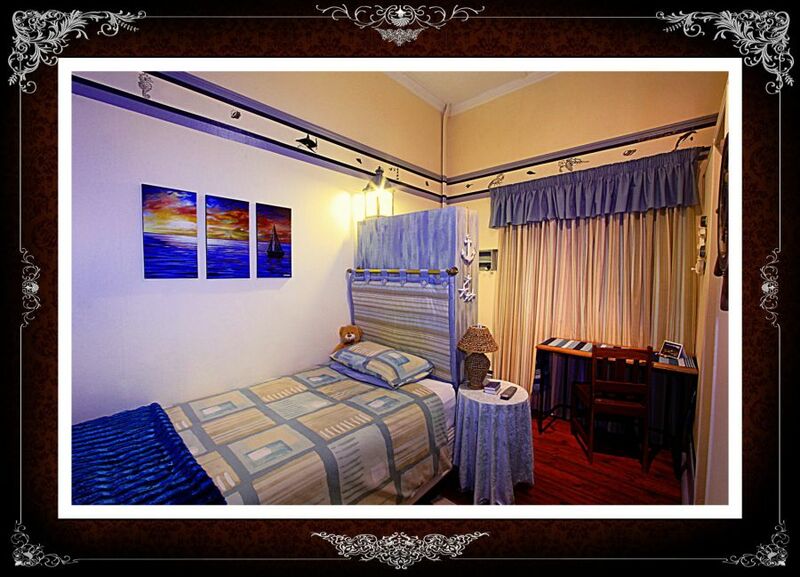 Facilities include a silent mini fridge, microwave oven, basic cutlery and crockery, free Wi-Fi, TV with 9 channels, a ceiling fan, panel heater and electric blanket. There is also a desk at which the business guest can sit and work comfortably. Electric sockets are installed at strategic points to add to the comfort for the charging of cell phones and electrical devices. A back-up power supply keeps the lights on during load shedding. The Inn has a strong bore-holewhich supplies clean water to the Inn, also during drought conditions. 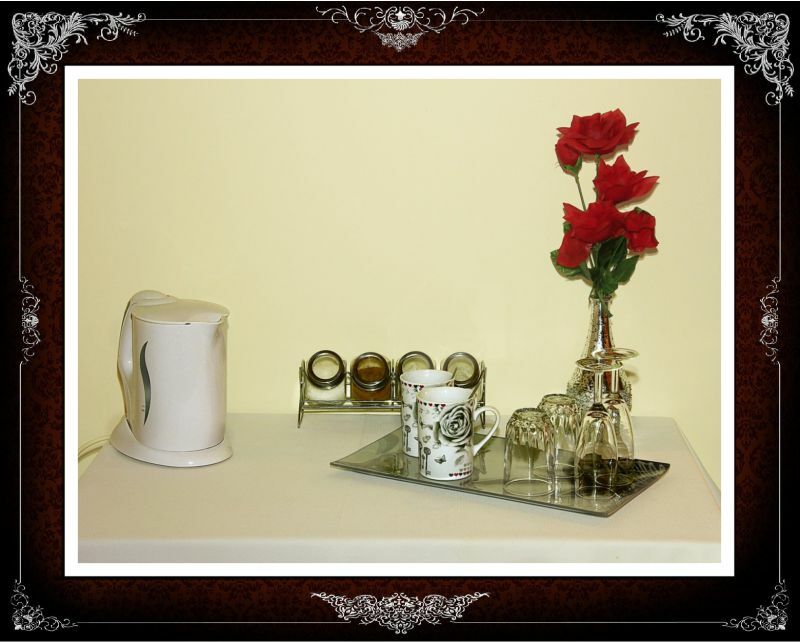 Guest amenities include coffee, tea and basic toiletries. 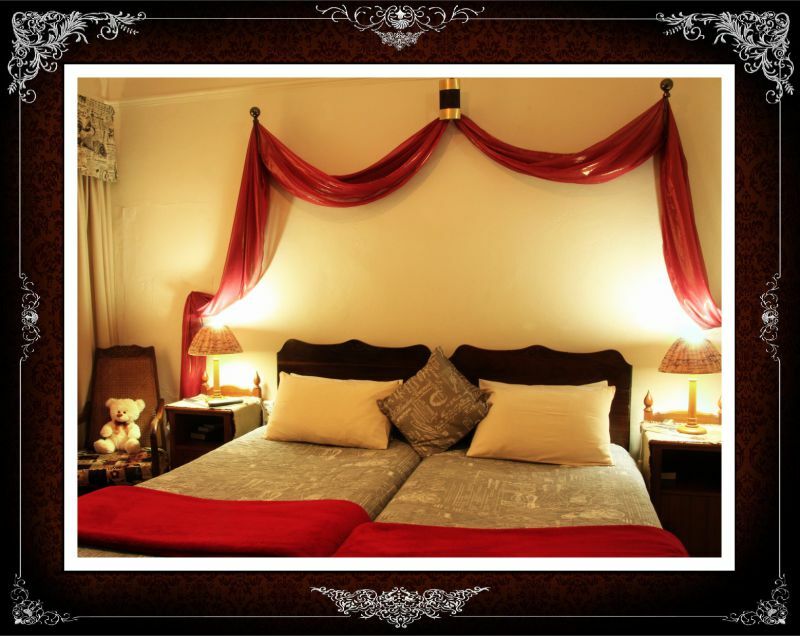 Double room with double bed and on-suite bathroom with shower. 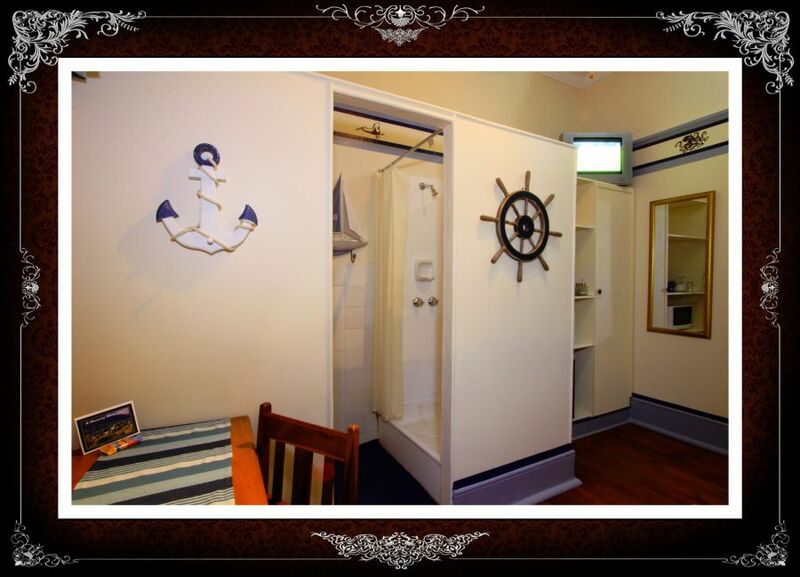 This is a favourite room with guests who prefer a shower and wish to be close to the entrance. The room overlooks the veranda and has a view of the Witteberg. 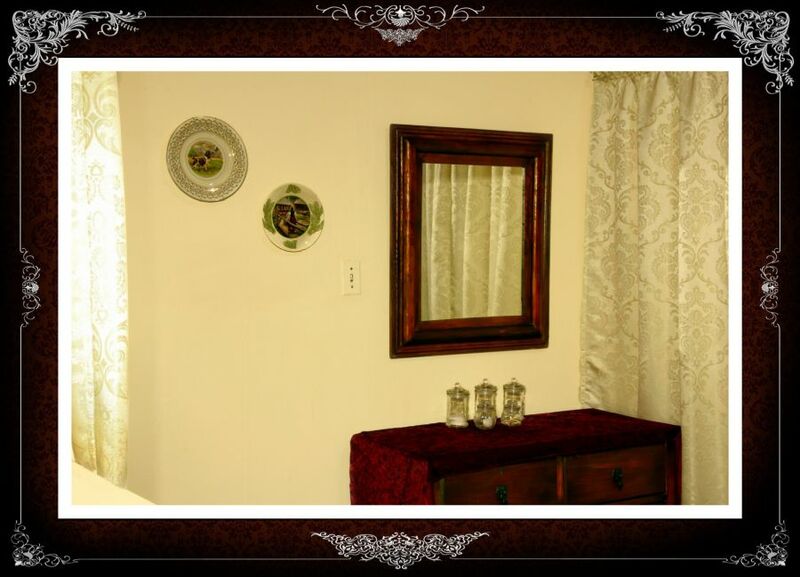 Décor includes a matching antique headboard, wardrobe and table. The room also has a fireplace. An additional fee is applicable for the use of the fireplace and it must be arranged in advance. There is also a teddy to keep you company in case you are alone. The Inn has a Restaurant and all meals are available at an additional cost. Facilities include free Wi-Fi, TV with 9 channels, coffee and tea, basic toiletries and a panel heater and electric blanket to keep you warm during winter. A back-up power supply keeps the lights on during load shedding. Electric sockets have been installed at strategic points to make it comfortable for the guest to plug in and charge devices or work comfortably at the table. The Inn has a strong bore-hole which supplies clean water to the Inn when there is a drought. 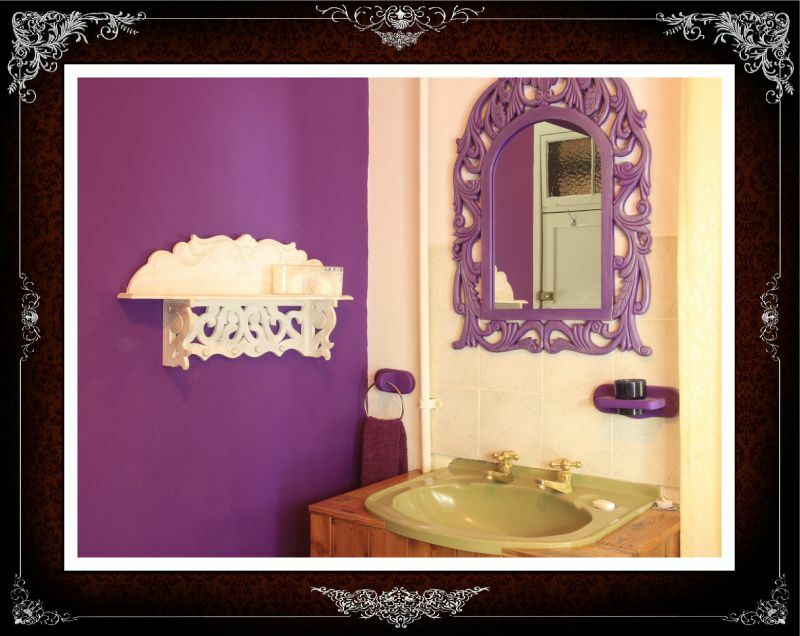 Double room with double bed and on-suite bathroom with bath (no shower). This is a comfortable room, overlooking the back garden. The décor includes an antique headboard, wardrobe and Chester chair. The room also has a desk which enables the business guest to work comfortably. As always, there is a teddy to keep you company. The Inn has a restaurant and all meals are available at an additional cost. 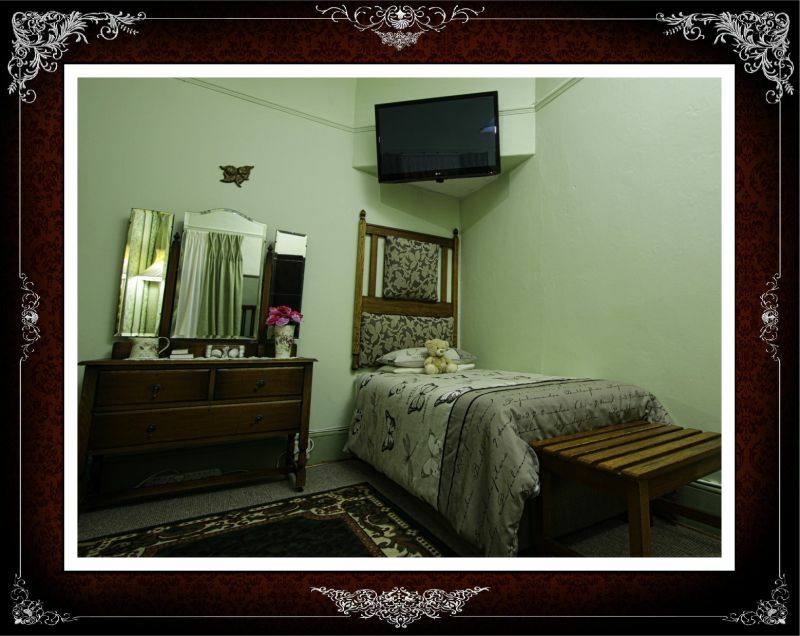 Facilities include free Wi-Fi, TV with 9 channels, coffee and tea, basic toiletries and a panel heater and electric blanket to keep you warm during those cold winter nights. A back-up power supply keeps the lights on during load shedding. Electric sockets have been installed at strategic points to make it comfortable for the guest to plug in and charge devices or work comfortably at the table. The Inn has a strong bore-hole which supplies clean water to the Inn when there is a drought. Also called the Angel Room. 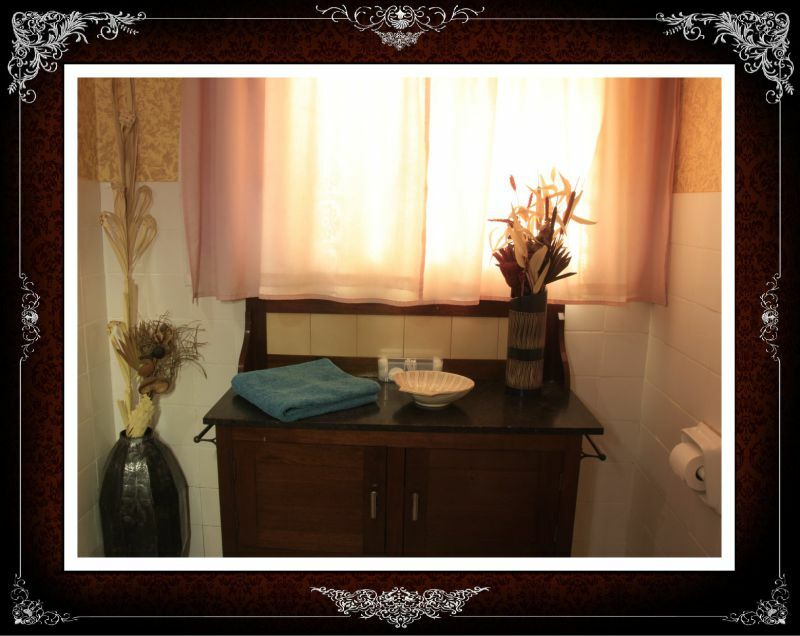 Double room with double bed and on-suite bathroom with shower. This room overlooks the back garden and entrance. 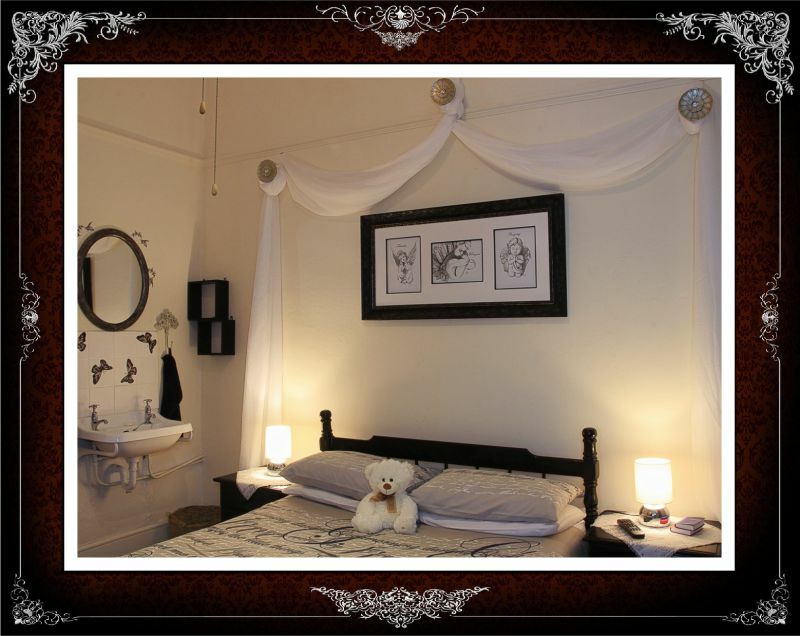 The Angel drawings were done specially for this room by artist, Danel Botha. And the teddy is on the bed to keep you company. The Inn has a restaurant and all meals are available at an additional cost. Facilities include free Wi-Fi, TV with 9 channels, coffee and tea, basic toiletries and panel heaters and electric blankets to keep you warm during winter. A back-up power supply keeps the lights on during load shedding. Electric sockets have been installed at strategic points to make it comfortable for the guest to plug in and charge devices and work comfortably at the desk. The Inn has a strong bore-hole which supplies clean water to the Inn when there is a drought. Also called the Penny Farthing Room. 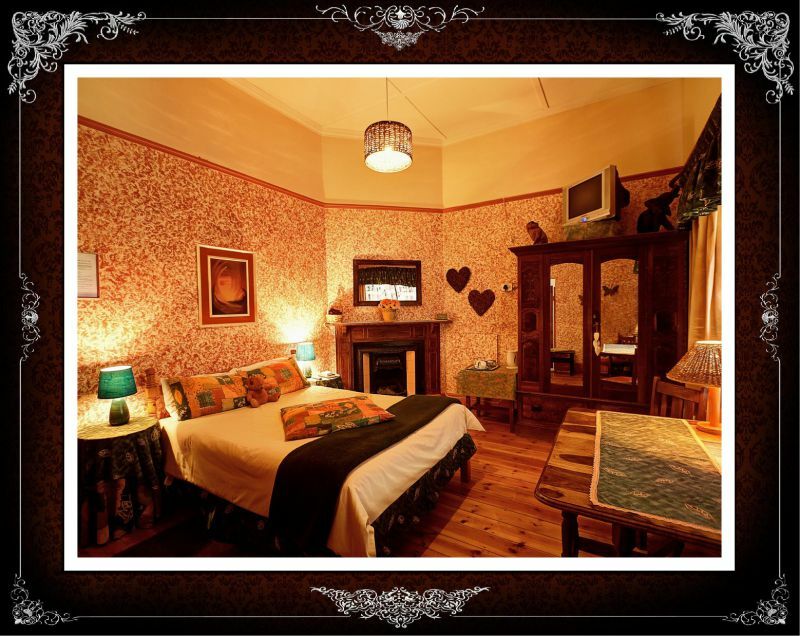 Double room with twin beds and on-suite bathroom with bath and a separate toilet. It has a view of Lady Grey and the Witteberg. The décor includes an antique wardrobe, desk and ball-and-claw chair. 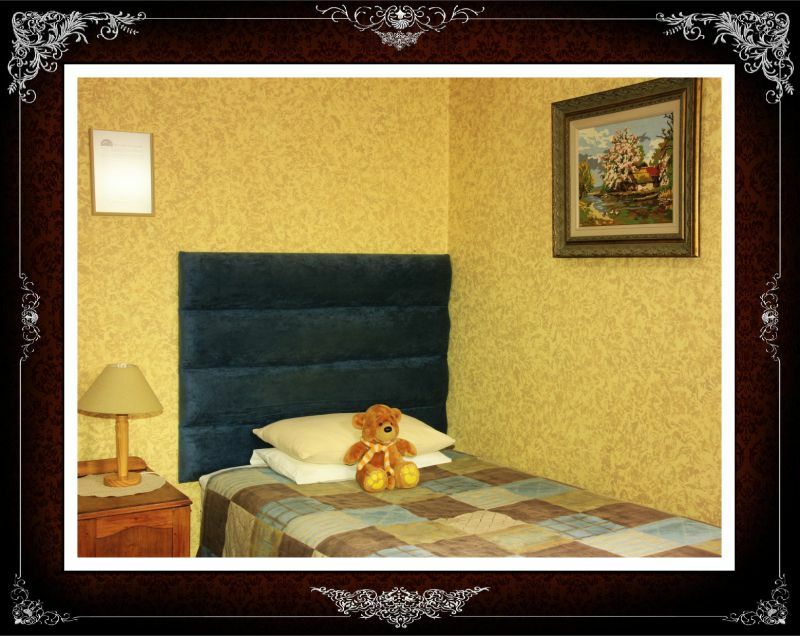 As always there is a teddy or soft toy on the bed to keep you company. The Inn has a restaurant and all meals are available at an additional cost. 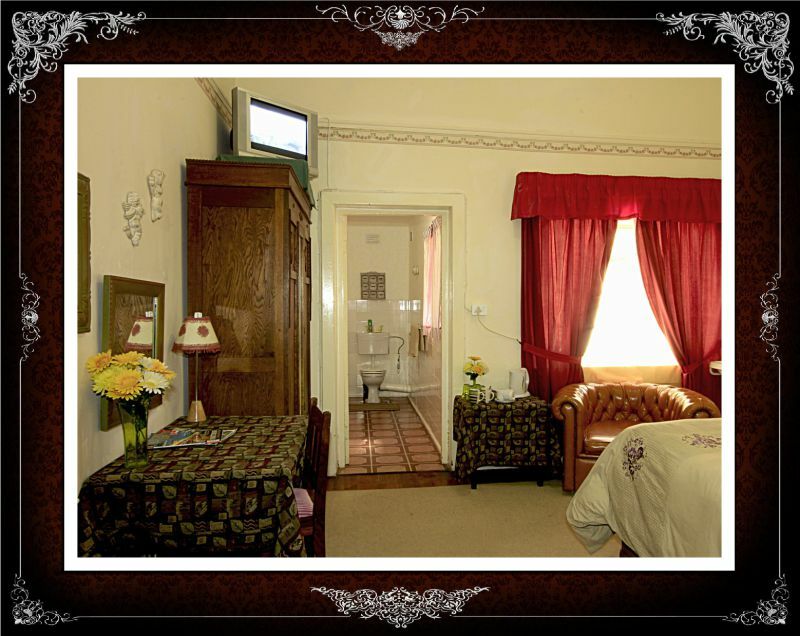 Facilities include free Wi-Fi, TV with 9 channels to choose from, coffee and tea facilities, basic toiletries and a panel heater and electric blanket for those cold winter nights. A back-up power supply keeps the lights on during load shedding. Electric sockets have been installed at strategic points to make it comfortable for the guest to plug in and charge devices or work comfortably at the table. The Inn has a strong bore-hole which supplies clean water to the Inn when there is a drought. 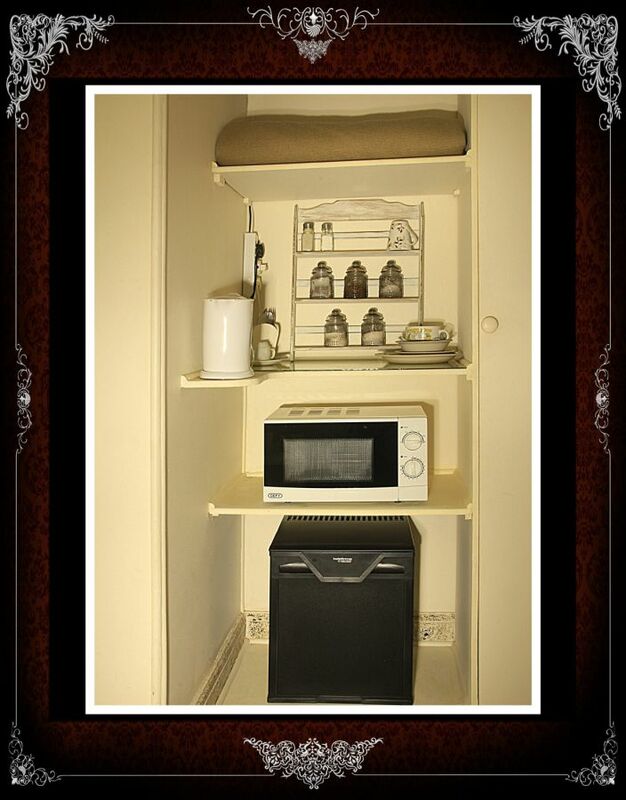 Self catering or catered. Family room with on-suite bathroom with bath (no shower). 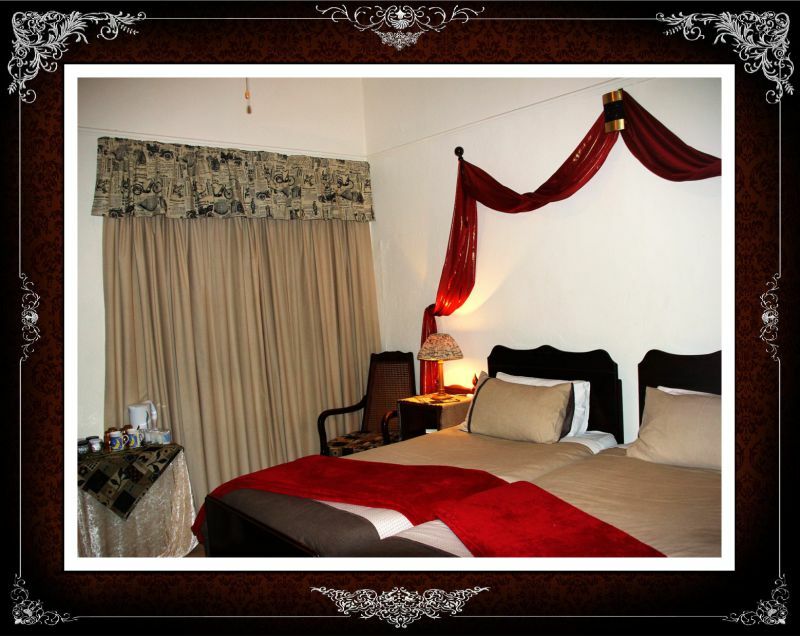 The room has four single beds of which two can be converted to a King-size if requested in advance. This suite is ideal for a family of four. It overlooks the veranda and has a view of the Witteberg. 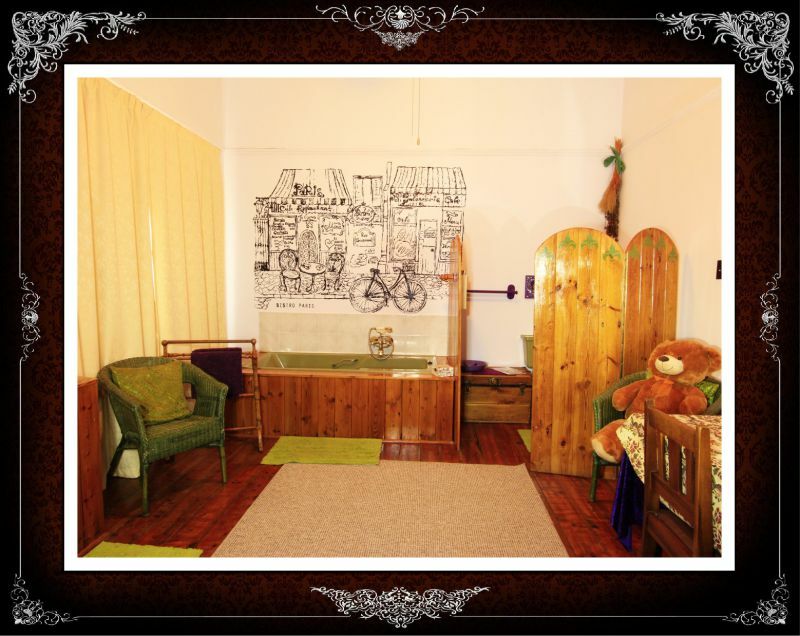 The décor includes an antique wardrobe, dressing table, desk, Chester chair as well as interesting old plates and an old wooden suitcase. The large headboard used to be the headboard and foot-end of the antique double bed of this room, now beautifully converted and upholstered by Daleen Jordaan and Hein Kunnike. 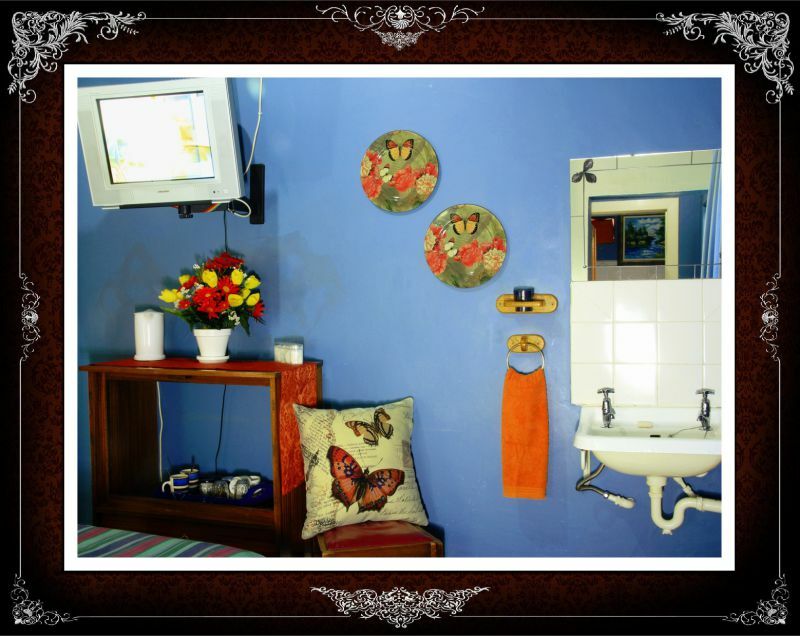 The painting “Trompetjie” is by deceased local artist Charlotte-Marie Stoltz. 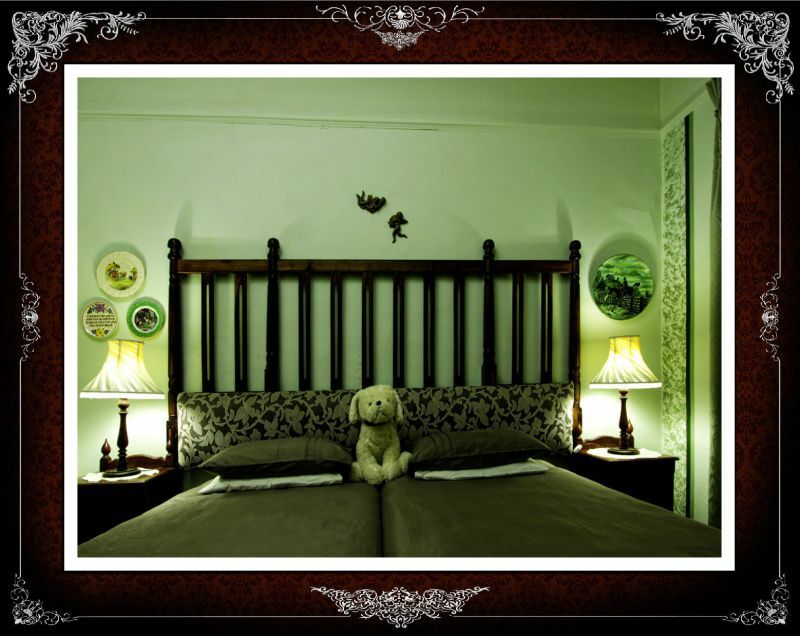 As always there is a teddy or soft toy on the bed to keep you company. 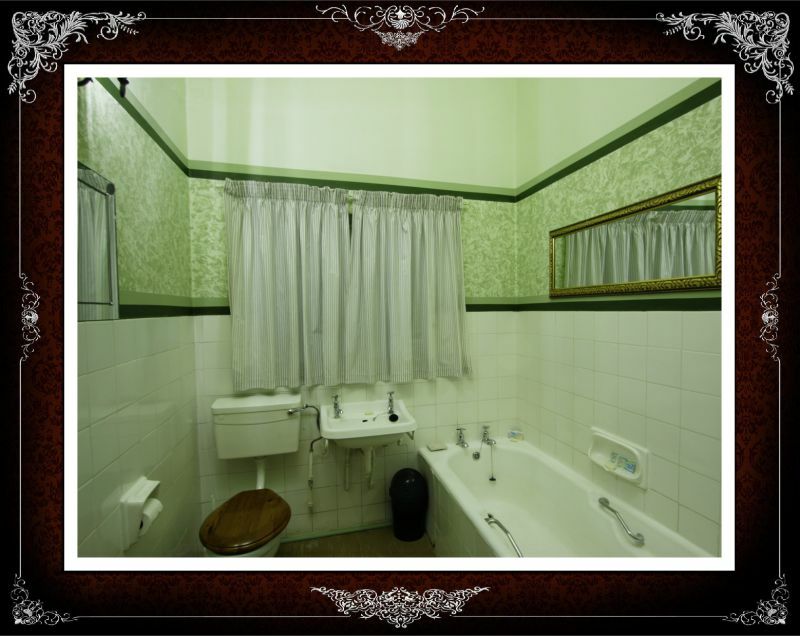 Single room with 3/4 bed and on-suite bathroom with bath (no shower). 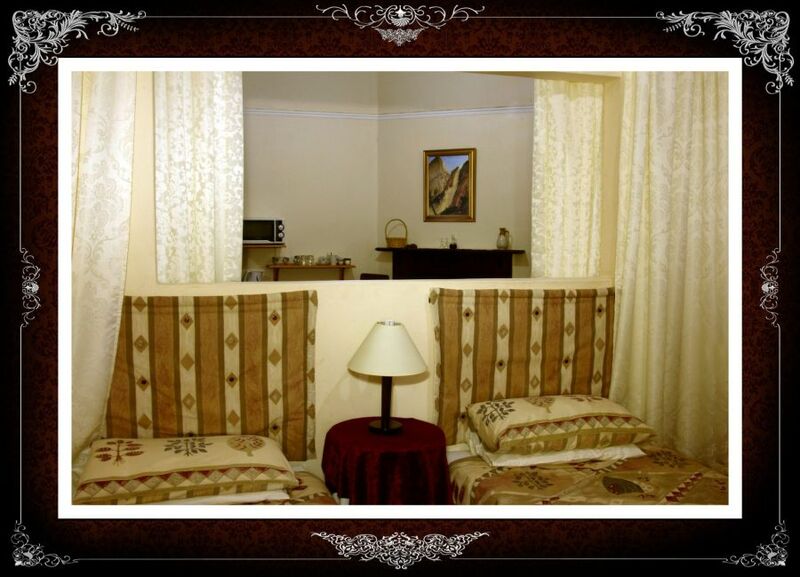 This is a comfortable room close to the entrance and it overlooks the back entrance. 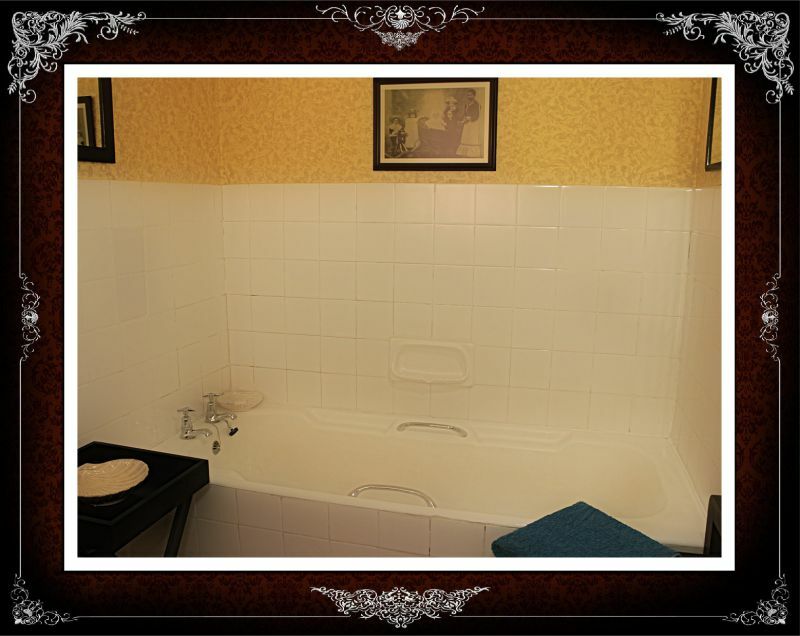 It is a great favourite with guests who prefer a single room with a bath. 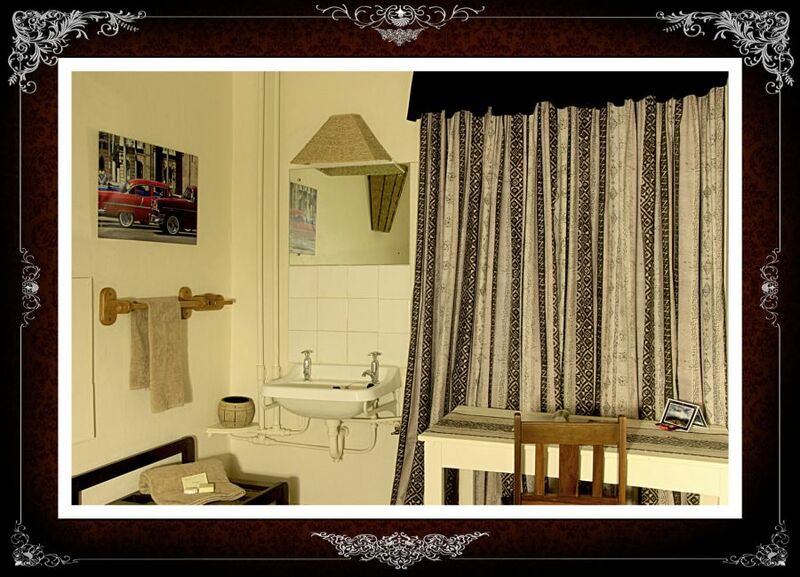 The décor includes an antique wardrobe and wash stand and the framed tapestries and old fashion photos add a touch of nostalgia. 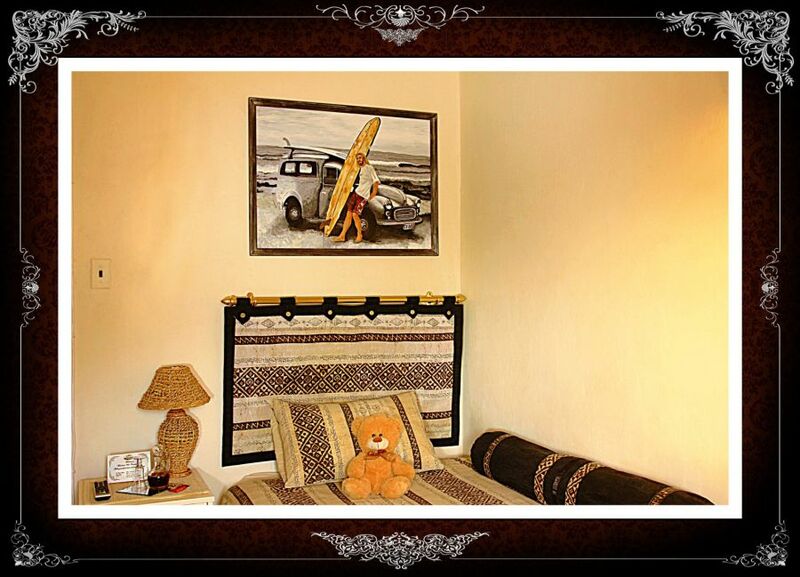 The teddy on the bed keeps you company. The Inn has a restaurant and all meals are available at an additional cost. 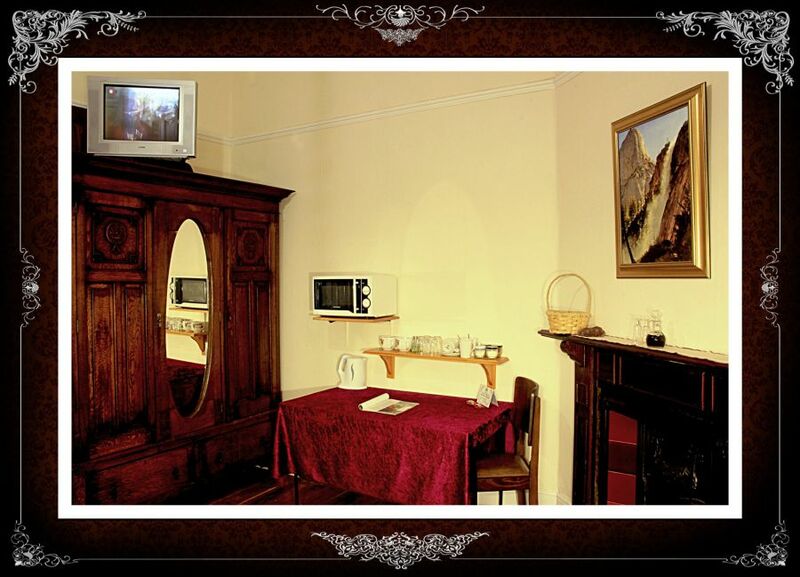 Facilities include free Wi-Fi, TV with 9 channels, coffee and tea, basic toiletries, a panel heater and electric blanket to keep you warm during winter. A back-up power supply keeps the lights on during load shedding. Electric sockets have been installed at strategic points to make it comfortable for the guest to plug in and charge phones and electrical devices. The Inn has a strong bore-hole which supplies clean water to the Inn when there is a drought. 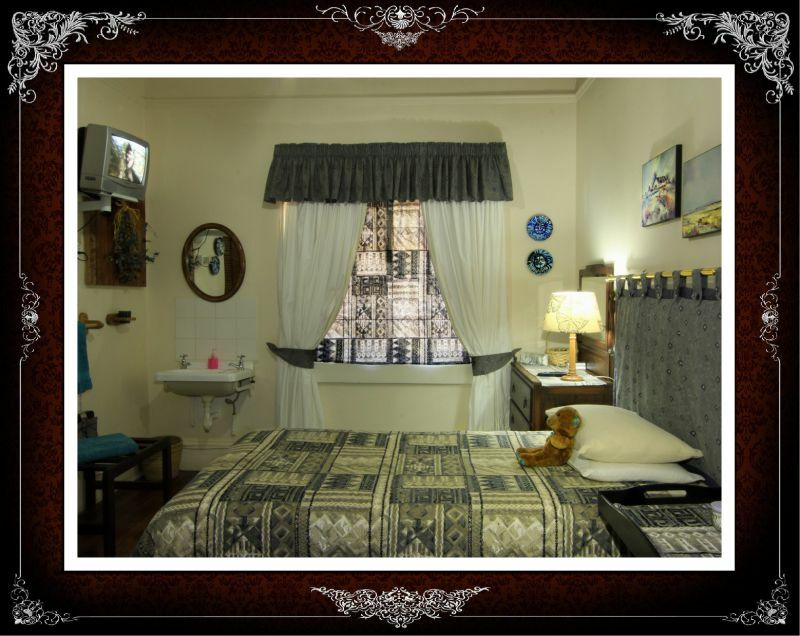 Lady Grey accommodation: Family room with a double bed and two single beds and on-suite bathroom with shower. It overlooks the veranda and has a spectacular view of the Witteberg. 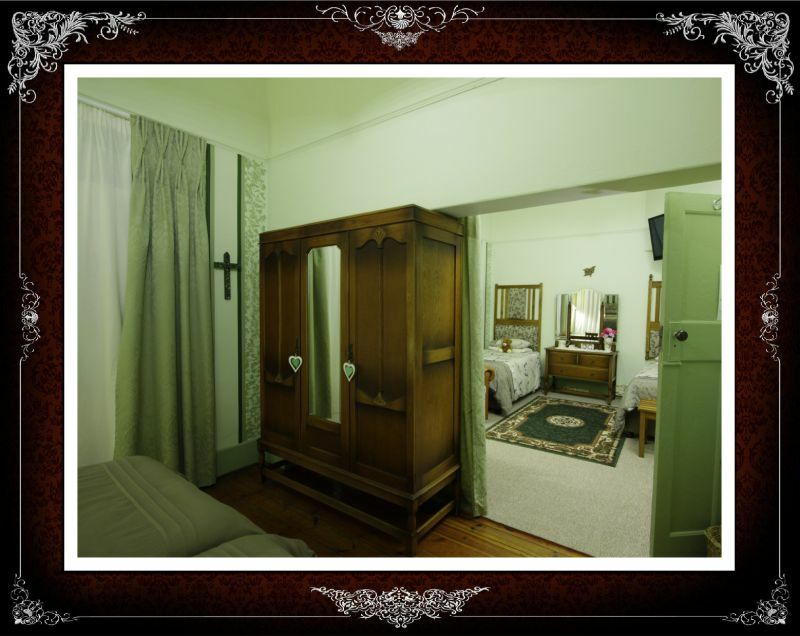 The décor includes an antique wardrobe and chest of drawers. The room also has a fireplace. 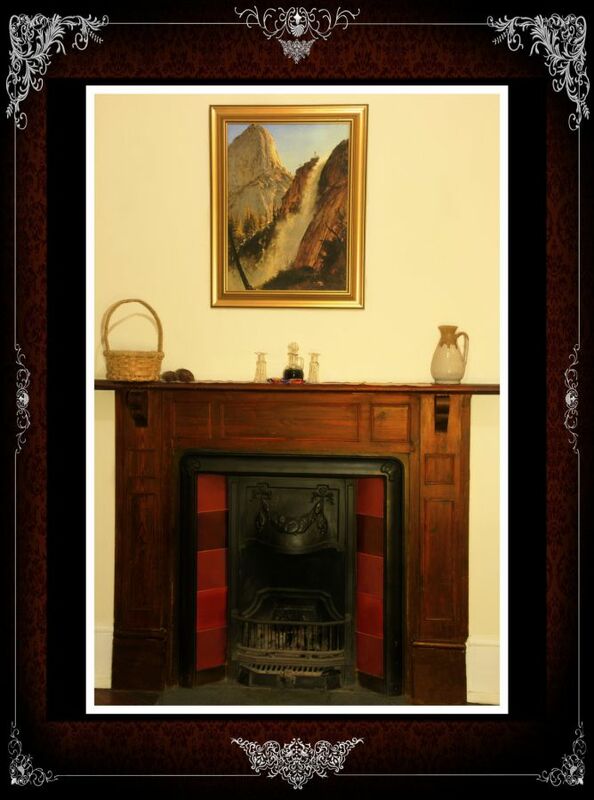 An additional fee is applicable for the use of the fireplace and it must be arranged in advance. 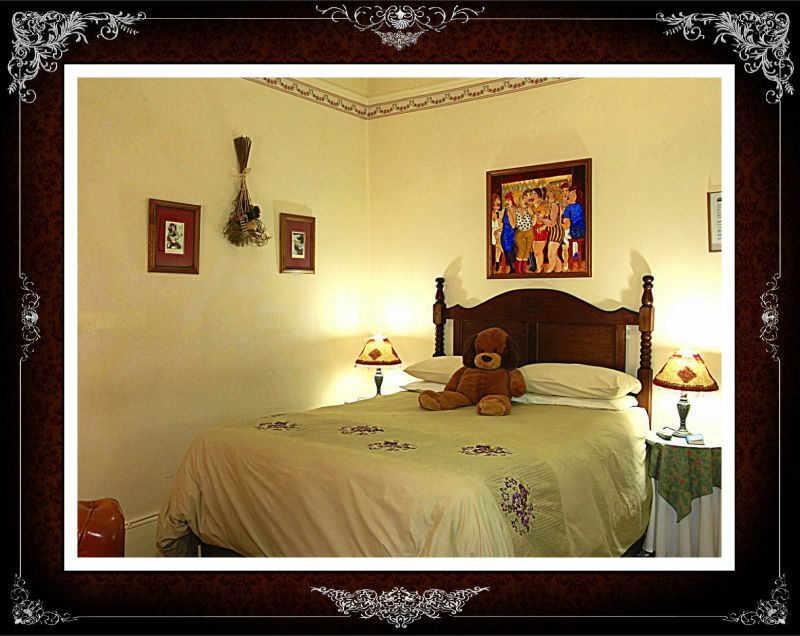 The teddy on the bed is there to keep you company. The Inn has a restaurant and all meals are available at an additional cost. Facilities include free Wi-Fi, TV with 9 channels, coffee and tea, basic toiletries and panel heaters and electric blankets to keep you warm during winter. A back-up power supply keeps the lights on during power outages. Electric sockets have been installed at strategic points to make it comfortable for the guest to plug in and charge devices and work comfortably at the desk. The Inn has a strong bore-hole which supplies clean water to the Inn when there is a drought. 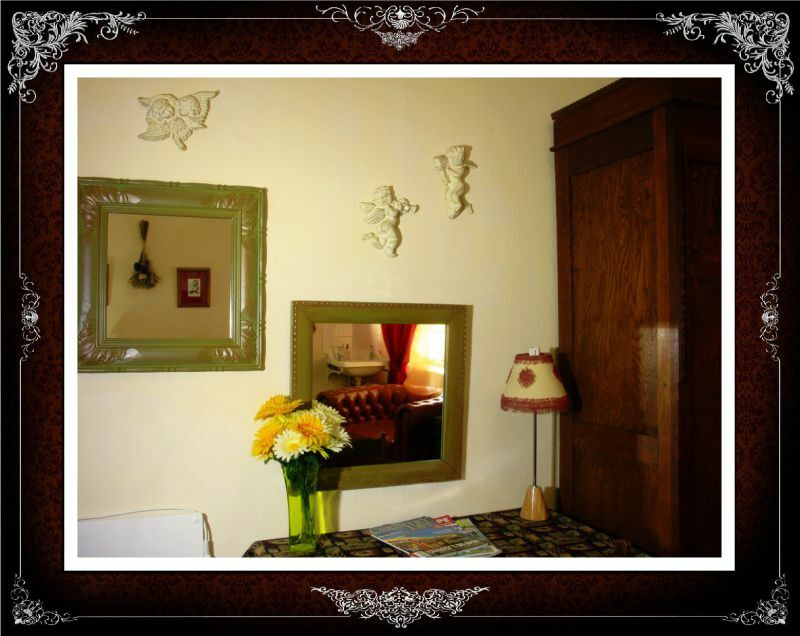 Upstairs, self catering or catered. 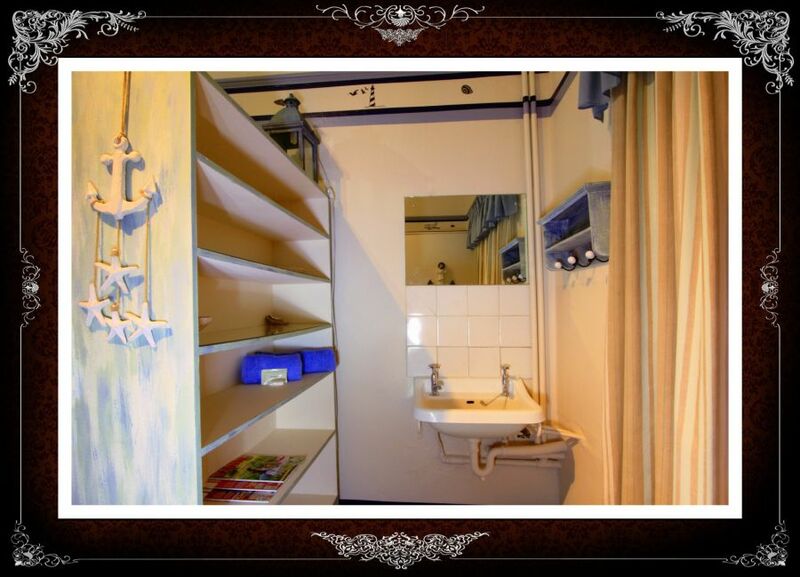 Single room with 3/4 bed and on-suite bathroom with shower. Teddy is on the bed to keep you company. The Inn has a restaurant and all meals are available at an additional cost. The room is small but it has many comforts. Facilities include a silent mini fridge, microwave oven, basic cutlery and crockery, free Wi-Fi, TV with 9 channels, a ceiling fan, panel heater and electric blanket. There is also a desk at which the business guest can sit and work comfortably. Electric sockets are installed at strategic points to add to the comfort for the charging of cell phones and electrical devices. A back-up power supply keeps the lights on during load shedding. The Inn has a strong bore-hole which supplies clean water to the Inn, also during drought conditions. Guest amenities include coffee, tea and basic toiletries.